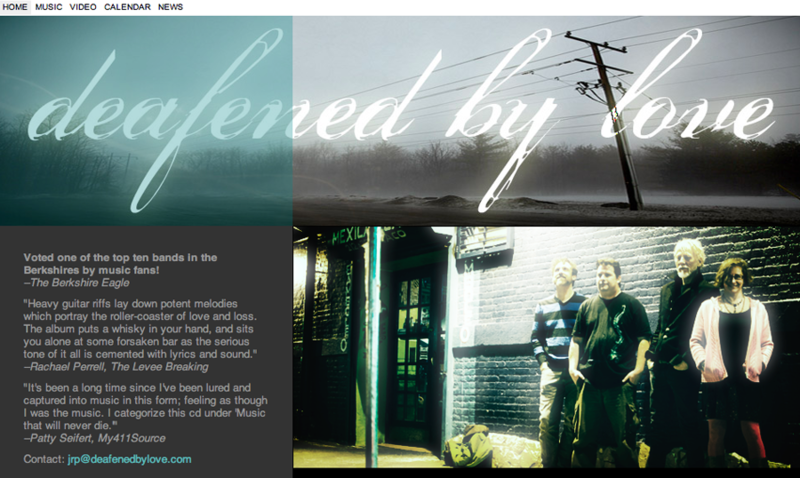 Deafened By Love is an indie rock band based in Massachusetts, recently voted one of the top ten bands in the Berkshires by fans. Their website had to be easily updatable, yet have a look and feel that would set them apart. We provided them a site with a unique graphic style, incorporating social media links, audio and video players, and an upcoming performance calendar.